Jammin’ with my Kala UBass | 20 ”Jon Andreas Visa” (Ode to Billy Joe) – Play UBass! For the first time I’m playing a Kala S.U.B. solid body UBass! 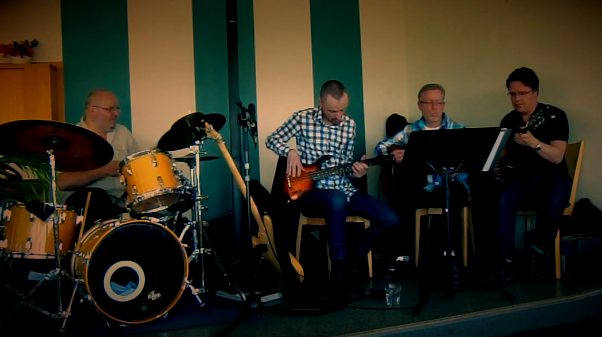 The video is from last Sunday’s annual gig at Svampen. (A water tower with a ”roof top” restaurant in Örebro, Sweden). I will make more videos and a review/test about the solid body UBass version soon. Until then here is a song from the gig. It’s a song by Bobby Gentry called Ode to Billy Joe. There is also a version with Swedish lyrics called Jon Andreas Visa. Here is a link to a great version by my second cousin Rebecka Thörnqvist and pianist Anders Widmark. More UBass S.U.B. videos, reviews and lessons soon! Amazing video, great playing! The S.U.B. seems to have a very full sound, very impressive. Pingback: Jammin’ with my Kala UBass | 33 Footprints (W. Shorter ‘cover’) | Play UBass!